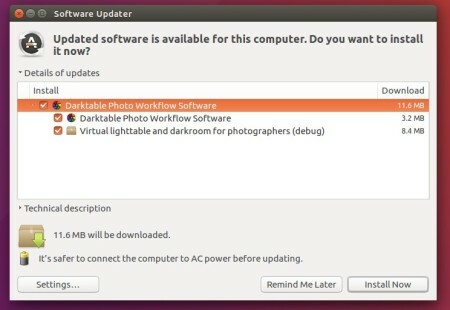 The open-source photography workflow app and raw developer darktable 2.2.2 was released earlier today. According to the release note, the color look up table module now includes preset for helmholtz/kohlrausch monochrome. DNG decoder supports reading one more white balance encoding method, some artefacts in the Drakroom preview image has been fixed. For Ubuntu 16.04, Ubuntu 16.10, Linux Mint 18, and derivatives, the new release can be easily installed via the PPA repository.